Hello there and welcome to my crafty sales corner! I'll be sharing all of the deals, freebies, and coupons I find on the internet! Bookmark this page so you can always check back for new deals and coupons. I'll be updating this as I find new sales and new products that come out! If there's ever a mistake on one of the deals please let me know and I will fix it as soon as possible. If you see a sale that I'm missing be sure to let me know, so I can add it in. Affiliate links can be used on some of the links but will result in no additional cost to you. Purchasing through affiliate links can result in a commission for me which helps me run my website and YouTube channel. Be sure to visit the websites to read any fine print details. Last updated 4/21 10:00 am EST! Throughout the month of April, Pinkfresh Studio is offering a 20% off discount on their beautiful liquid watercolors! Use code LW20OFFAPRIL at checkout! SpiegelMom Scraps has their new release out! This mix, Hippity Hoppity, is perfect for all of your Easter memories! Don't forget to use my code Katelyn15 for a discount! Get 20% off your order when using code EASTER2019 at checkout at Studio Katia now through April 21st! Head over to Lawn Fawn where you can get a Reveal Wheel Butterly Add-On FREE with any $60+ purchase while supplies last! It is automatically added to cart when you have a qualifying order! Offer expires April 30th, happy shopping! Get the deal of a century during the retirement sale going on now! It's only while supplies last, so hurry! There are 3 other ways to save at MFT! Orders over $50 after discounts and before tax receive free shipping in the US! Orders over $60 will receive a free Die-namics Die in their order! Plus, you can shop to save! Orders of over $100, save 10%, if you spend over $250, save 15%, if you spend over $500, save 20%, AND if you spend over $750, save 25%! There's a new mixed media mat on the market! Waffle Flower Crafts is introducing their Water Media Mat! This thing can do so much! I love how it can do mirror stamping!! Preorder yours today! Get up to 40% off stamps, stickers, and so much more over at Butterfly Reflections Ink during the Spring Cleaning Sale! Elle's Studio has a bunch of new Spring themed items in their shop! Butterflies, pastels, hearts, and flowers! Get them while supplies last! It's time to celebrate Easter at Simon Says Stamp! You can save $7.99 on purchase of $75 or more using code ESTR75 through April 21st! Check out the new Distress Oxides release with so many great colors! Get 15% off your purchase plus double rewards now through April 20th with code Apr19! There are a few great sales going on over at Marker Pop! Now through April 22nd you can save in honor of Earth Day! Get $5 off orders of $55+ with code EARTH5 or get $10 off orders of $100+ with code EARTH10! Also, save on some great Honey Bee products while supplies last through April 25th! You can get 10% off Altenew products with code ALTEXTRA10 at checkout. Only one coupon code valid per order! The April release is live over at Newton's Nook Designs! Get it while supplies last! Currently at Blitsy, you can get 15% off your entire order with code EASTER15 at checkout! Don't forget to check out their new deals weekly as well! Pick up some great deals during the Mama Elephant extra markdown sale where you can save up to an extra 30%! Get some awesome savings on stamps and matching dies while supplies last! 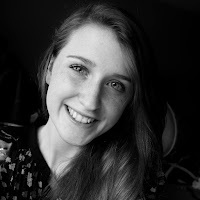 There are new releases over at Jillibean Soup! You can get free shipping on US orders over $75! Don't forget to check out the grab bags available as well! There are two sales going on over at Kat Scrappiness! You get to choose now through April 24th! Get 15% off sitewide with code KATS19 or you can get 30% off the Spring/Easter category with code EASTER19! Great savings! I love the selection at Hallmark Scrapbook! Now you can save up to 60% off items! Check out the adorable Rainbows mini collection from Pattern Happy! You can get free shipping on your order of $75 or more in the US! There are several sales going on over at Altenew! Check out their newest release and for a limited time get 40% off their Stripes and Flowers creativity kit! Spellbinders has their Easy Breezy Spring Project Kit on sale for over $20 off! Get his bundle and several more during their Spring sale! Save 15% off the New Home die set when you purchase the New Home stamp set at WPlus9! The savings will automatically show up in your cart! Get Wild Whisper's latest collection, Floral, before it is sold out! You can get the whole collection for only $50! 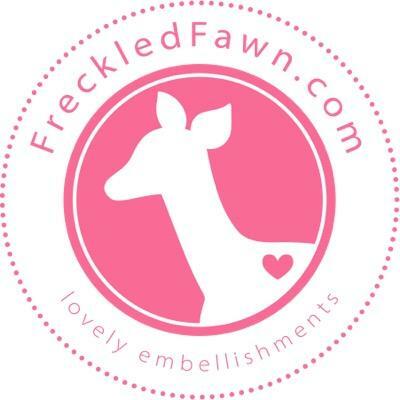 Freckled Fawn has released their new March Bundle! These richer tones are perfect for masculine projects or for transitioning from winter to spring! All orders over $20 at Doodle Bugs get free shipping in the US! 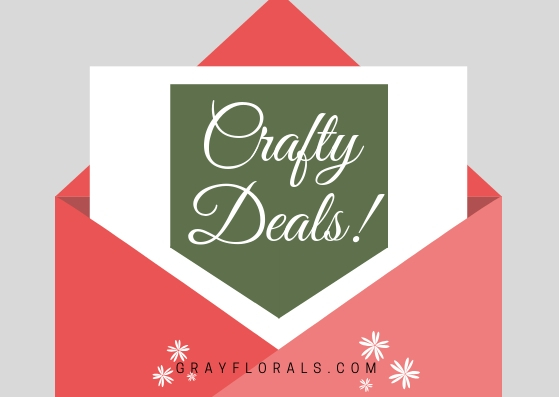 There are crazy discounted deals at Only One Life Creations! They just remodeled their website and it is fabulous! Enjoy great savings at the Friends and Family sale at Tombow now through April 22nd! Use code FRIEND at checkout to get 25% off everything! Get Free Shipping on all US orders over $10 at Tupelo Designs LLC! 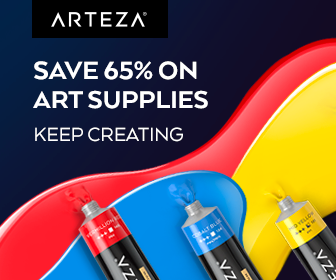 Arteza is running some great sales on canvases, paints, and more! I get a ton of awesome DIY Supplies from my Dollar Tree! These washi tapes are brand new! I have a couple sets and love their thin width! Now you can shop online and ship to your store so they have enough of what you need! Be aware that there are minimum quantities that you might have to purchase for certain items. If you love stationary products as much as I do, you need to check out the 50% off sale! Get desk organization, pencils, and more at Paper House Productions! I can't guarantee how long these low prices will last on Amazon so shop fast! Also, be on the lookout for the coupon banner on some items for additional savings! I have not had the pleasure of using all of the items listed below, but some of these deals are worth trying something new. To view the photos of the products below you may have to turn off your ad blocker or open it on a different web browser. Thank you for stopping by! Again, if you know of a sale or shop that you would like to be featured, please send it my way!